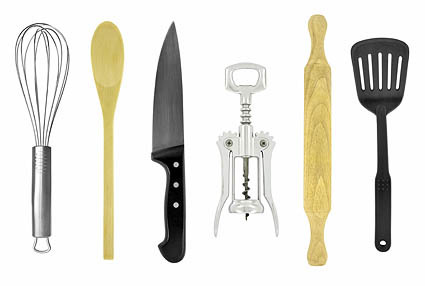 The International Culinary Center (462 Broadway) is launching a series of new intensive recreational courses, which start in October. The single session classes are available for many different skill levels and age groups. Some of the new courses include, "Food Technology for the Home Cook," "The Secrets of Spices," and "Chocolate Treats & Truffles." Prices range from $150 to $395 per session. For more information, visit the Center's site, or call 888.90.TASTE (888.908.2783. "I once had a strange moment in Rome. There were these young, groovy things, and I discussed a chicory with them. They were proudly saying it was a Roman chicory. I feel that in London, no one discusses the perfect London cabbage with me, especially if they're groovy and young." 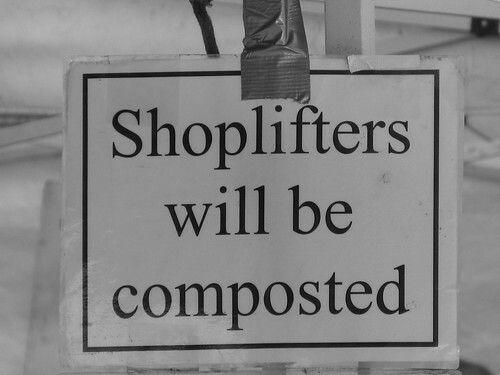 MarketWatch Moment: Shoplifters Beware, added to the MarketWatch Photo Pool by Flickr users brian & kristen. The New York Times reports that modern furniture retailer Design Within Reach will be opening a housewares store, DWR: Tools for Living, in SoHo this fall. 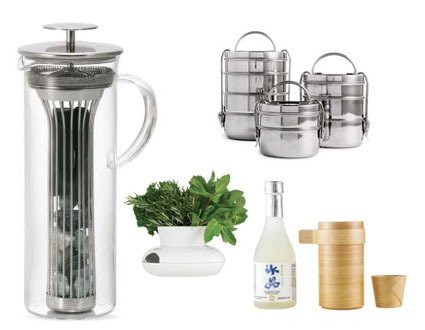 From the DWR website, clockwise from top: "tiffin" lunch tins, cedar sake bottle and cup, stoneware herb pot, and water-filtering pitcher. The shop will open on September 19 at 142 Wooster Street. A second store is slated to open on Octpber 2 in Santa Monica, California. Astor Center (399 Lafayette Avenue) presents, "Chilling Out with Liquid Nitrogen," hosted by Aki Kamozawa and H. Alexander Talbot of the culinary blog Ideas in Food. 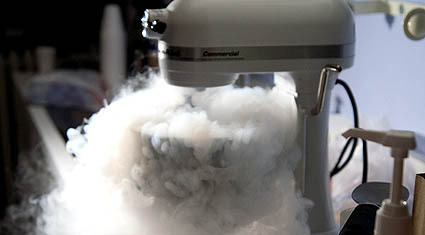 Liquid nitrogen has gained much popularity for its innovative use in making instant ice creams, creating innovative twists on cocktails, and cryo-blanching. Discover these techniques and more while tasting some samples of chem-lab cuisine. The class will take place on Tuesday, August 26th, from 6:30 p.m. to 9:30 p.m. Tickets: $125/person. 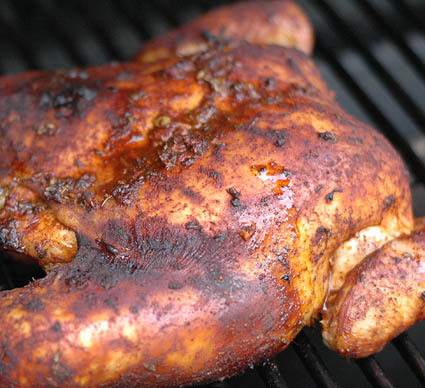 I've never been to Mexico, so I haven't had the chance to pull over and taste a roadside "Sinaloa"-style chicken, but thanks to Rick Bayless, I've mastered grilling a beautifully blackened, spicy, smokey, and succulent bird in my backyard, well north of the border. This easy, delicious dish has become a summer standby. 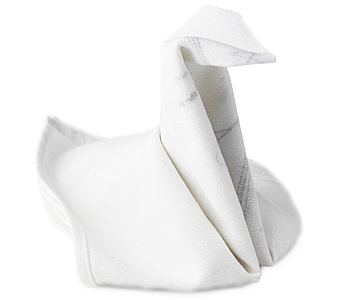 Origami Napkins feature hand-printed how-to-fold instructions on each napkin to create a snail, swan (above), carrot, and sailboat. 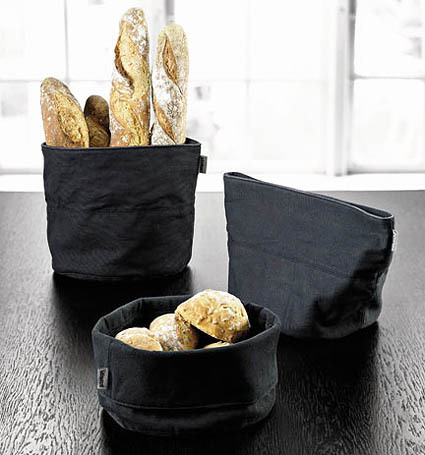 $35 for a set of four at Uncommon Goods. 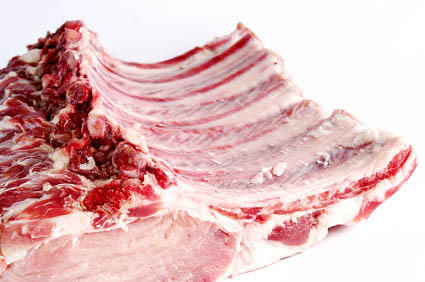 Joe Mizrahi of Smokin’ Joe’s True-Blue Texas Barbecue in Staten Island will lead a course on barbeque essentials, from spices, rubs, and sauces to BBQ fuels and even how to properly hold cooked BBQ. Naturally, at the end of the day, a BBQ dinner will be served. The class will take place on Saturday, August 16th, from 11:00 a.m. to 4:00 p.m. at Historic Richmond Town, 441 Clarke Avenue, Staten Island. $75/person, reservations required (718.351.1611, ext 245).